People often ask me where I find my inspiration and energy. As a guy that spends far too much time staring at a screen and tapping away at a keyboard. I think it’s getting out and about in the great outdoors that helps me maintain a very positive outlook. My two favourite places in the world would be the Glastonbury Festival of contemporary performing arts where I can go completely offline and lose myself for five days soaking up over 1,000 different acts across a 900-acre site. My second favourite place is Croyde Bay in North Devon where I can hit the beach armed with a cheap wetsuit from eBay and a £20 bodyboard. Sure, learning to surf properly is high on my bucket list. However, a distinct lack of time, money and water near my home makes it quite difficult, but one day I live in hope of spending my final days as a Johnny Utah style character in Croyde. Until that day, it was time once again to hit Croyde Bay in October to store up my last shot of vitamin D to get me through the winter. And recharge my mojo by catching a few waves in my favourite place. This year I borrowed my son’s GoPro Hero camera to try and capture some of our antics and also see how this much cheaper model handles the sea. I have to say that this £90 model seemed to capture just how much fun we had and presently surprised at the HD quality. For anyone that is wondering if the cheaper and original GoPro Hero offers a high enough level of quality, I hope this video helps you make a decision. No more trips are planned for 2015, but once again I have been fortunate enough to have made some amazing memories and enjoy the company of my friends and family. Although, I am back in front of the screen, it won’t be long until I am scouring Holiday Pirates for my next cheap flight. The famous 75-85 boxset by the boss introduced me to a wealth of stories of flawed characters with big hearts and dreams. Despite, getting knocked down by the monotony of daily working life, they used the burning fire within to lift themselves out of desperate situations. I clearly remember entering the workplace for the first time trying to make sense of this world as an adult, and the song Badlands seemed to help me make sense of it all in the simplest of ways. Sure there was the cynical realisation in the lyric, but ultimately the underlining message I took from Badlands is if you want to make anything happen then you have to create goals and form your own path to make it happen. Aerosmith cemented the theory of turning negatives into opportunities with their line “You’ve got to lose, to know how to win” in their hit Dream On, many years before Eminem sampled the chorus to deliver the same message in his own unique way. Meanwhile, Bob Dylan taught me not to criticise what you can’t understand and Ice Cube kept me grounded by booming ‘You better check yo self before you wreck yo self’ into my ears. Despite having a love of technology and gadgetry, I equally appreciate the simple things in life and sometimes you just need to breathe some fresh air and soak up your surroundings. Sometimes, we are guilty of becoming so goal oriented that we forget to live, love, laugh and walk in the rain. However a quick listen of Breath by Pink Floyd ensured a very valuable life lesson was learned sooner rather than later. Maybe we underestimate the influence that music can have on our lives and do not always realise that the songs we listen to can empower us just a much as any self-help book or life coach ever will. Don’t misunderstand me, I’m not the guy that sits in a dark room full of melancholy searching for deep meaning in every song that I hear. After all sometimes you just want to shake it like a polaroid picture and I’m likely to find just a much inspiration by busting out a few moves with wild abandon on a sunny afternoon. My music obsession leads many to think that I’m just a dreamer, but in the words of John Lennon, I’m not the only one, and I know for sure that one day you will join me. Let me know the songs and lyrics that have inspired you on this journey of life by commenting below. Any parent will tell you that the summer holidays can be quite challenging when your tiny children become teenagers. All theme parks have long been ticked off their bucket lists and everything you suggest seems to fall under the labels of boring or too childish. I spend most of my time writing about the latest technology trends and often find myself conflicted by the benefits and negative aspects of this digital age. I am also increasingly conscious of the amount of time that both my son and I spend staring at screens and don’t want to be the dad who says “in a minute” paying more attention to email than each other. 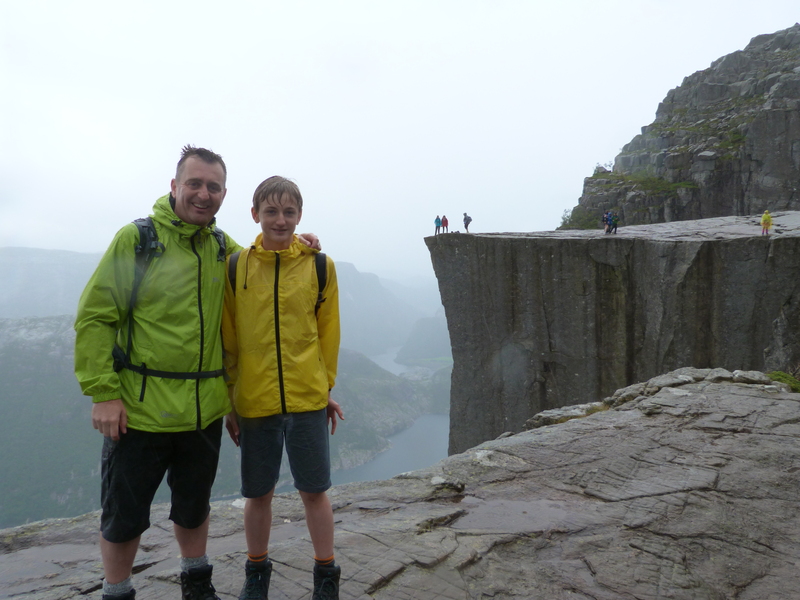 The older that I get, the more I realise that its experiences rather than possessions that truly make us happy, so decided to take my teenage son on a father and son adventure to Norway. A short 90-minute flight from the UK into Stavanger would allow us to soak up some of the finest scenery that this world has to offer and allow us to spend quality time together. Our base was the Scandic Stavanger City hotel which ticks many boxes for anyone sightseeing in the Stavanger region. The airport bus drops you across the road from the hotel, it offers an all you can eat breakfast and the all important free wi-fi. Hiking to Preikestolen (The Pulpit Rock) simply involves crossing the road and getting on a ferry (pay on board) to Tau, then hop straight onto one of the buses waiting (pay the driver) and begin your hike. Refreshingly you are encouraged to pay on your card rather than using cash on your travels making the whole trip incredibly simple. Hiking with your dad could still be interpreted as boring to the typical teenager, but I had something special up my sleeve. The plan was to climb to the top of Kjerag and stand on a large boulder (Kjeragbolten) wedged in the mountain’s crevasse for the ultimate Instagram moment. I was fortunate enough to visit New York for the first time around 7 years ago and, as a rule, I don’t return to the same place twice because I feel that you are missing out on somewhere else. 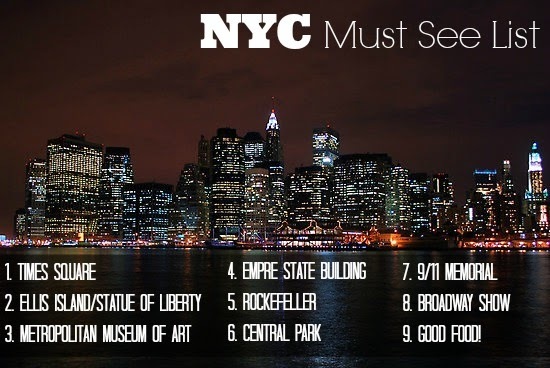 However, I had unfinished business with NYC and my first visit consisted of rushing around like a madman trying to see as much as I could racing to the top of the Empire State, Statue of Liberty and the Rock frantically attempting to tick as many things off my bucket list as possible. Now that Grand Central Station, Central Park, Times Square, Wall Street and Brooklyn Bridge are a fading memory, I thought it was time to return and soak up the other things that New York has to offer at a more leisurely pace with 5 full days for our return visit. Arriving into Newark on an internal flight at 21:45, we got the train from the airport to Penn Station for only $12.50 which was only a 2 minute walk to our hotel the New Yorker and there were no safety concerns at all and everywhere was very busy despite the arriving in Manhattan quite late. It was time to learn and conquer the New York Subway so purchased a one-week unlimited subway and local bus pass for $30. NYC is a big place, so having the ability to zip around the city without scrambling around for loose change was the best decision I could have made. Understanding the metro system offered a slight learning curve, but again the beauty of the unlimited pass means any mistakes were quickly rectified when I understood the difference between uptown and downtown or express and local service. A post on YouTube’s blog yesterday revealed that YouTube Gaming is built to be all about your favorite games and gamers, with more videos than anywhere else. From “Asteroids” to “Zelda,” more than 25,000 games will each have their page, a single place for all the best videos and live streams about that title. You’ll also find channels from a wide array of game publishers and YouTube creators. Have you ever noticed how some people you encounter on this journey called life seem to effortlessly inspire us after spending only a short amount of time in their company, whereas others somehow have the knack sucking the life out of you before leaving a trail negativity and despair in their wake. The secret to success and happiness is said to consist of surrounded yourself with like-minded individuals who are also on a similar journey to make positive changes in their lives that in turn helps us all grow as people when we subconsciously influence each other with our everyday choices. Role models do not need to consist of some misguided hero worship of celebrities and very often those who we aspire to become are people very close to you or who you communicate with on a regular basis, for example it was the great John Whiteand Paul Drury who are the reason I have written over 50 articles on LinkedIn. Are You Ready For Virtual Reality? Back in 2014, Google invested $542 million in a secretive and mysterious augmented reality glasses start-up known as Magic Leap, but it wasn’t until last week that we got our first glimpse of what we can expect from the project when a video called ‘Just another day in the office of Magic Leap‘, appeared on their YouTube channel. If resistance really is futile and we are all heading for a future where we plug ourselves into the matrix, let’s take a look at what the Oculus Rift rival brings to the table. Over 100,000 attendees are expected at South by Southwest (SXSW) where the annual event offers a smorgasbord of music, film and interactive technology in Austin, Texas from March 13-22. However, the big news is how once again technology is rapidly invading event space as the organisers of SXSW have teamed up with Eventbase to place over 1,000 Gimbal’s series 21 iBeacons in 265 of the events official venues to offer tracking and communication via the official mobile app, which is also the largest deployment of iBeacons for an event. Typically this form of technology interacts with your mobile phone when you enter or leave an area and send messages depending on your interests along with any promotions that can be pushed to visitors, but this latest event partnership is concentrating on using beacons to offer a human element that will allow visitors to network effectively. Finally it seems that there is a realisation that there is more to iBeacon technology than retail marketing or advertising which is refreshing as nothing frustrates people more than receiving unsubtle and intrusive messages telling us to buy more stuff that only annoy the recipient. We all find inspiration from different sources that surround our everyday lives and as someone that has always harboured a hidden desire to become a writer, how could I write about anything else today after hearing about the sad passing of Sir Terry Pratchett. In a digital world where the written word is slowly being replaced by the more visually appealing videos on websites and journalists or authors turn their back on writing due to the lack of financial motivation, but a true writer simply does not have a choice and has a simple desire to tell a story in their own natural voice regardless if there is a reward or not. The prospect of Alzheimer’s disease taking away your own voice and how you communicate in this life is terrifying, but even in the face of adversity, the author filled with greatness that wrote over 70 books remained as philosophical as ever. If I had been Terry Pratchett the farmer or Terry Pratchett the dentist, nobody would have paid any attention if I had announced I had Alzheimer’s. But there is something fascinating about an author losing the power over words. There was something about those worlds he created that were full of misfit heroes that struck a real cord with me and there are so many quotes that we all know by heart that will forever inspire writers of all generations such as the line “If you don’t turn your life into a story, you just become a part of someone else’s story” from the Amazing Maurice and His Educated Rodents. Here are just a few of my favourite quotes that have come from the brilliant mind of a great man with a fantastic sense of adventure. Pratchett was so much more than just an author of fantasy novels and there are so many life lessons to be found in his words such as the book Moving Pictures that perfectly illustrates what this crazy life is all about. Have the words of Terry Pratchett inspired you? I would love to hear your thoughts and favourite quotes. It seems that every news feed I look at has a story advising how we all spend far too much time sitting down, whilst a combination of our lack of motivation and sedentary lifestyle will quite literally be the death of us all. However, we don’t need to worry because there is an antidote to this lazy behaviour and technology has the power to get everyone back on their feet again, if we all invest in the latest tech wearable that promises to kick start everyone with a healthy dose of motivation, at a cost of course. Many combine the use of tech wearable’s with another set of buzzwords known as lifelogging, self-hacking, body hacking or the quantified self where people are increasingly using technology to track measure and analyse data from your daily life. Although I am usually quite cynical about this sort of thing and confess that I am happiest when sat down looking at a myriad of tech devices or playing on a games console, but equally aware that if you need a website to be successful you need to closely monitor google analytics to examine data and improve performance, so pondered if this same school of thinking could be applied our own life? After reading that the smartphone you already own can perform that exact same tasks only more accurately, I decided to embark on an experiment for once week where I track every aspect of my life to see if it reveals anything different about me using only my smartphone to see if there really is a need for slight changes to my lifestyle.